A lavish private island resort in Thailand’s Gulf of Siam has introduced a truly unique way to enjoy a delicious meal – high off the ground amidst gorgeous tropical foliage. Bringing a new meaning to the term ‘a dinner with a view’, Soneva Kiri, an exclusive private island retreat in Thailand, is now allowing guests to channel their inner child by dining in what amounts to a luxurious tree fort. Dubbed ‘tree pods’ by the resort, the small booths blend in with the surrounding rainforest, and resemble the basket-woven nests of tropical birds. 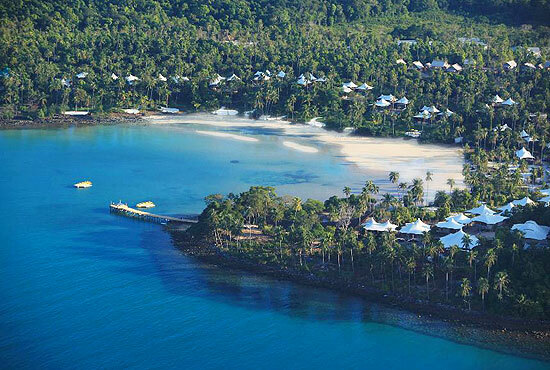 On their perch 16 feet in the air, guests enjoy spectacular views of the Gulf of Siam and lush neighbouring islets. The 4-person tree pods offer incomparable privacy and seclusion – in these little cocoons, there will be no worries about loud guests at nearby tables interrupting a romantic moment. But the question remains; how will the restaurant’s exquisite organic cuisine be delivered? A simple idea would have been to run a basket up the pod via a rope-and-pulley system, but Soneva Kiri is known for its pampering service. 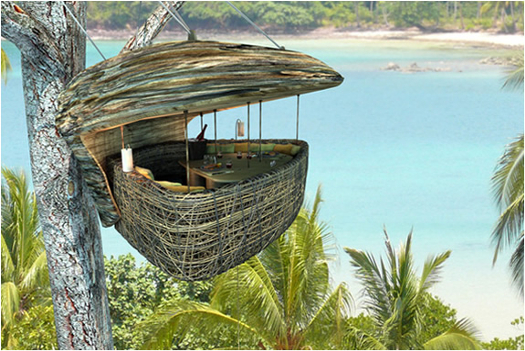 The resort opted to have its daredevil waiters zip line to the pods, while carefully balancing meals and drinks. The concept of dining in such intimacy with nature fits perfectly with the island resort’s philosophy, which aims for a perfect blend of sophistication and casual, eco-friendly charm. It says it all that the memorable motto for the Soneva brand is ‘No news, no shoes’. The resort is small and exclusive, composed of just 42 guest bungalows plus a ground-breaking ‘zero carbon emissions’ suite, together with 21 private residences, which are available for purchase. Situated amid more than 150 acres of pristine jungle, the developers had a strong vision of sustainability, and used locally-sourced materials, labour and artwork it its construction. Soneva Kiri is owned by Six Senses resorts, which boasts several other private islands in the Maldives, and is no stranger to providing unforgettable holiday experiences. 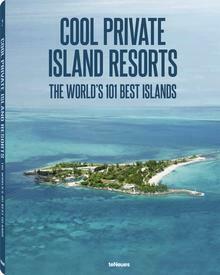 The world of expensive private island resorts can be highly competitive, with each deluxe retreat vying to offer guests something completely new. The Six Senses’ resort of Soneva Gili was the first in the Maldives to be composed entirely of eco-friendly overwater bungalows, and spawned a host of imitators – perhaps soon, resorts across the globe will be inviting guests to dine among the treetops, as well.